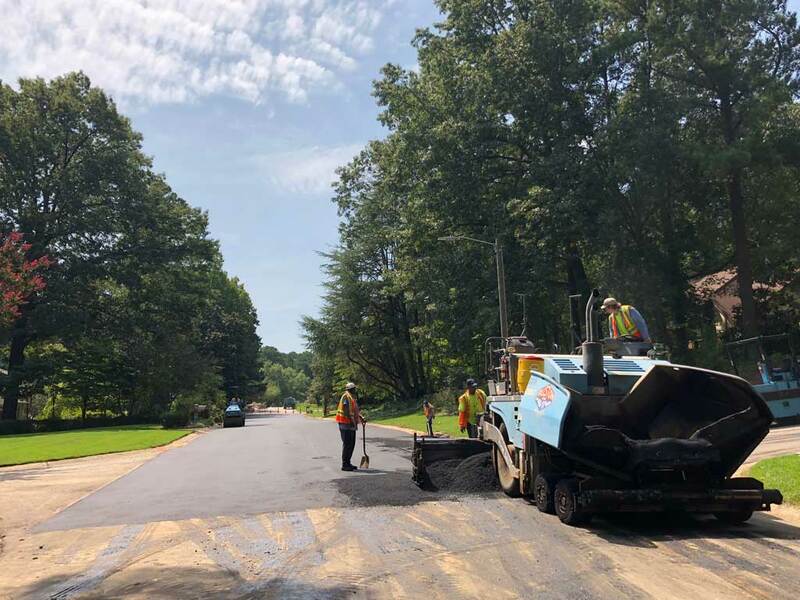 Ruston Paving’s Triangle Region NC Division’s crews were called into action to repair a sink hole on Brookgreen Drive that tried to swallow a Town of Cary dump truck. The culprit turned out to be a water main break. After the pipes were fixed, our crews compacted, graded and paved the road. Crisis averted thanks to the diligent work of all involved!